Daryna KDE CE is out now and ready for download. Note: This is not a KDE 4 desktop. Daryna KDE is nearly as minty as the main edition now. The packages are (safely) upto date and the kernel is the Gutsy Gibbon kernel 2.6.22-14. See the main Release notes for info and pictures of the mint applications. We hope you all like the new Daryna Mint KDE CE. The following applications were removed to fit KDE CE onto a CD: Inkscape, Hugin, Scribus, KMymoney2, K9copy, The Gimp, libicu34, kde-icons-mono, ttf-arabeyes, OpenOffice.org, diveintopython, kde-icons-nuvox, kaffeine, knotes, kdepim*. Some documentation and some wallpapers were also deleted. When shutting down or restarting the live CD it will freeze about 25% of the time at the last step. I had this problem with Gutsy too and have not found a fix for it. This happens more in virtual machines than on real ones. After adding a new user log in as them and check their kmix settings because they will have no sound. Check the output and PCM levels. This is what I do, a lot. Boot off the live DVD. At the partitioning screen choose manual. Format the old / partition, now called /media/sda?. Set the old / partition to be the new /. Continue to the end and start the install. After the install has finished reboot the system. Open a terminal window to setup your old /home partition. Check your old /home partition for home directories. Un-mount your old /home partition. Update your /etc/fstab file to mount your old /home at boot. Reboot to have your old /home back again. your sound will no longer work. To fix open up kmix, check your output is not muted or the level is set to low and check the PCM level (I had to nearly max mine out). Linux Mint Daryna KDE CE Upgrade Notes. Just don't. It will cause you more problems than it is worth and it will not be anywhere near as beautiful and clean as a fresh install. For this reason I am not including upgrade notes. 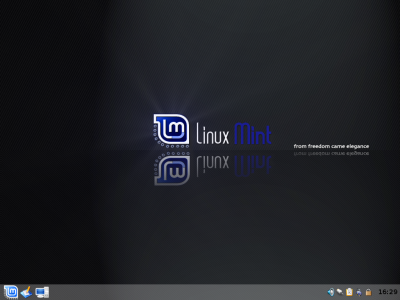 In the future I am going to create a mint-kde-distro.deb to aid in updating KDE mint editions. 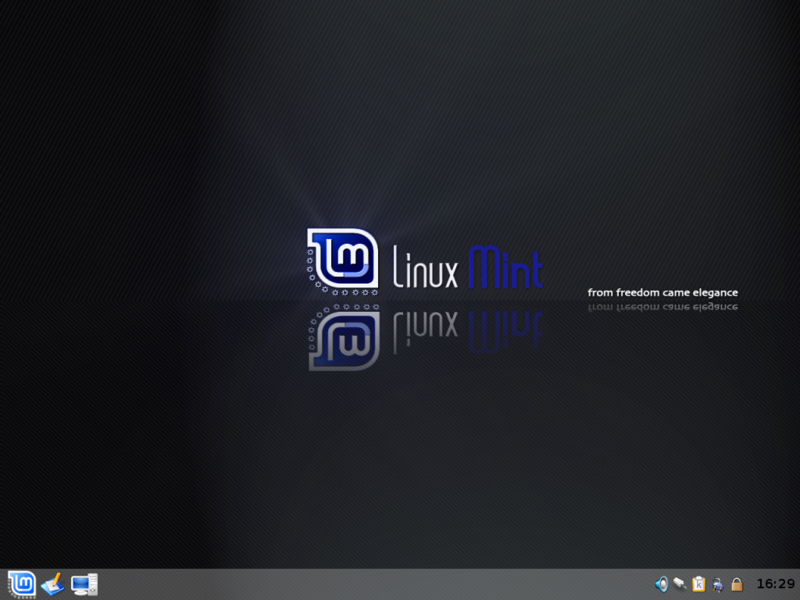 Linux Mint Daryna KDE CE Upgrade Notes From Beta 44. Fixed the HAL USB NTFS problem (there is a post in the forums). Changed some compiz default settings to make it more KDEish and fix a known bug. Added a Linux Mint user agent for Konqueror and pre-added some sites to use the Mint useragent. This helps people know Linux mint is out and about. It would be great if beta 44 users added the UA and sites.